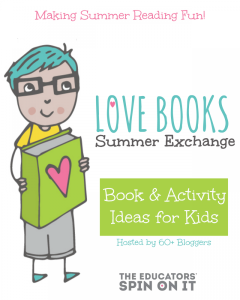 I am SO excited that for the THIRD summer in a row we are participating in the Love Books Summer Book Exchange hosted by The Educators’ Spin on It! It’s become a summer tradition for us!!! For those who aren’t familiar with the Exchange, here’s how it works. 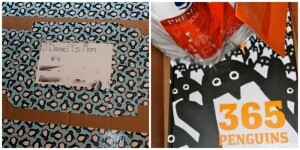 The lovely ladies behind The Educators’ Spin on It pair up bloggers throughout the world to exchange packages that include a book and an activity to go along with that book. This year over 60 bloggers are participating. So, there is going to be a TON of great books and activities for us all! 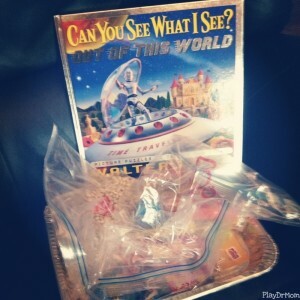 The book, “Can You See What I See? Out of This World“, is a terrific book where the readers need to search and find the items listed in the prose. Each page has a beautiful photo an elaborate play scene in which you find the specific item … such as a unicorn, robot, ice cream cone. They are great books because not only do they tell a story, they are a search game! 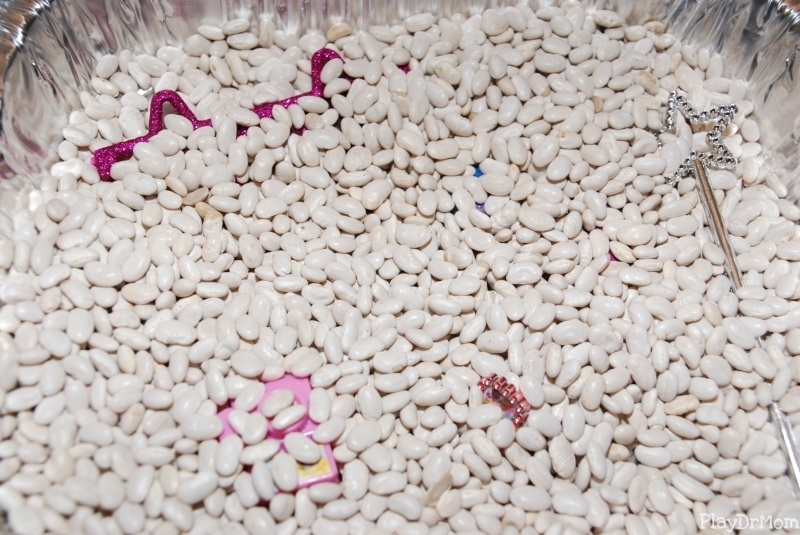 The activity that came in the package was to create a “seek & find” sensory bin activity with beans and small objects. Two separate bags of 7 small objects were set. 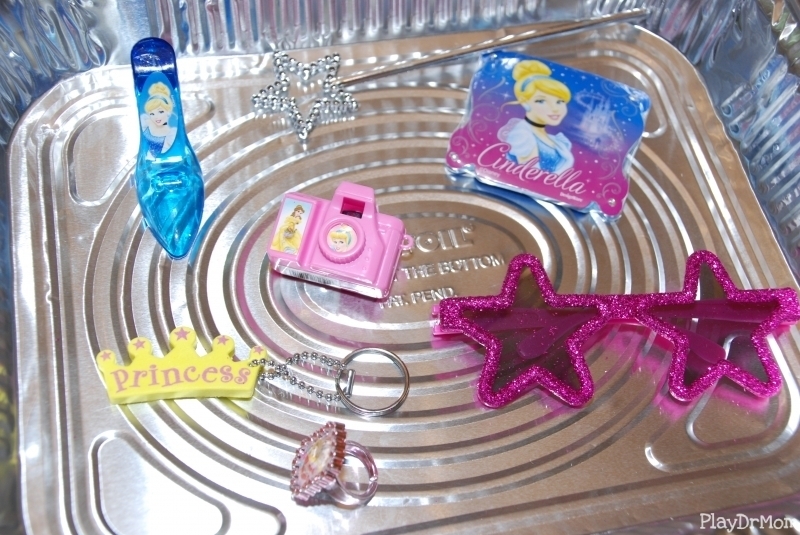 One bag had more “girly” items; the other more “boy” items. Once the kids were familiar with the items we played a “What’s Missing?” game. One person would hide all the items in the bin, but leave ONE of the items out. The other person would then try to figure out what item was missing. 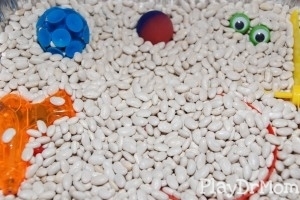 This is an awesome game to help build visual memory and concentration. 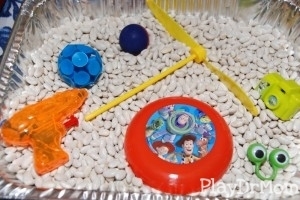 The kids had a ton of fun with it and played it several times. We also thought about how we could incorporate the game into ANY sensory bin using found objects around the house. Even messy or wet bins would utilize this game using items that would be safe to get wet and messy! 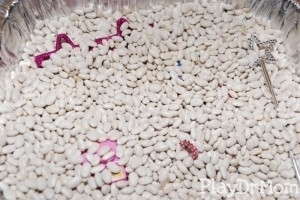 For instance, you could create this game using soap bubbles, water beads, rice, paper scraps, etc! 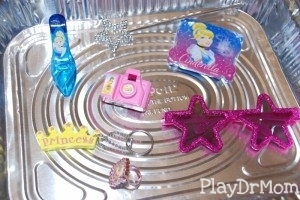 Items that could be used are coins, small toys, plastic/magnetic numbers or letters … endless possibilities! 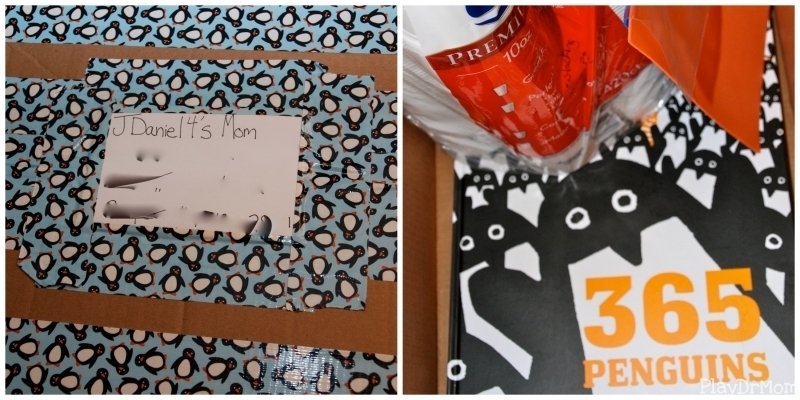 Make sure to pop over to JDaniel4’s Mom to see what we sent them! Here’s a sneak peek! I am so glad you like it. We had a great time putting it together. I LOVE this! Pinning and sharing! So easy to put together and such a great way to teach children concentration and preparation for reading comprehension! Fantastic idea! Ang Johnson recently posted…Around the world in 12 dishes–Croatia!